“You can spot the ‘it’ factor a mile away,” says Sherry Thomas. Sherry Thomas, President and Founder of Palm Beach Etiquette, is a leading Business Etiquette Expert, Corporate Trainer, Image Consultant and Life Skills Coach. She also teaches Etiquette to children, adults, and teens and can be found regularly at corporate events as a Keynote Speaker. Her manners are a credit to good parenting by a strict, mannerly father, a wonderful mother who placed her into Etiquette classes at an early age, and her Southern upbringing. She graduated with a degree in Psychology from Clemson University and has credited her education with helping her to better understand the needs of others. God comes first in her life and everything else follows, she believes. Ms. Thomas has worked with many people that you see on television each week in the areas of Etiquette, Corporate Training, Public Speaking, Image Consulting, Drama Coaching, Pageant Coaching, Interviewing Skills and Techniques, Body Language, Media/Press Coaching, and Life Skills. Sherry coined the phrases Public (and Private) Persona Optimization℠, meaning that if you practice certain techniques long enough in order to maximize your public perception, eventually those techniques and changes become a natural part of who you are, thus optimizing your private persona. Corporations such as Professional Sports Teams, Food Manufacturers, County Library Systems, Banks, Hotels, Museums, Spas, Health Care Companies, Schools and Universities. Athletes, Children, Adults, Graduates, people from all walks of life – all seeking to master the Polish and Skills required to ‘get ahead’, ‘seal the endorsement,’ or ‘make a favorable impression’. She is an author and 3 Minute Guru for Boca Parent Magazine, a Professor of Life Skills and Etiquette at a Delray Beach College and has been featured in numerous magazines and newspapers and as a guest on radio shows. “Confidence without arrogance℠,” is her favorite mantra. She loves children and can often be seen in the middle of the floor with kids and teens of all ages, participating with them, instead of staring down at them. 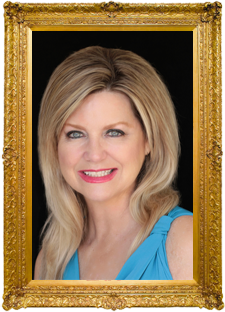 In addition to Etiquette, Sherry is a Writer and Video Producer and has produced Commercials, Infomercials, Corporate Video, and shot Elite Weddings. She is President of Breathless Video Productions, LLC. Based in South Florida, her international video company shoots anywhere in the world! Sherry often incorporates video into her training, affording a client the opportunity to view ‘befores’ and ‘afters’. Video, she says, is the only way for us to see ourselves as the world does. Once a New York City actress, she can still be found, occasionally on the stages of South Florida, performing . . . just to keep the acting blood warm.